That looks like cake :) Does it smell like vanilla? I like it! Tops are really nice. Thank you Jen, I really appreciate it! 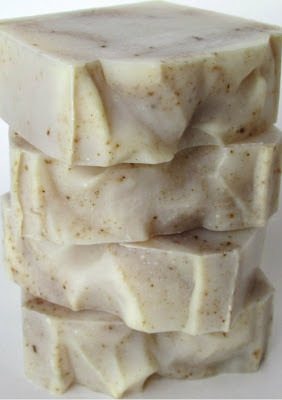 The fragranced I used is a vanilla/honey/musk blend, it's very light and powdery. It looks like sand and vanilla smells like summer to me! It's maybe because I'm sitting on the beach right now,having coffee,ha,ha! Oh Maja, I want to be where you are right now...that sounds lovely! The picture is gorgeous, Cee! I love the specks of vanilla bean, Cee Gee! It's nice to know that the vanilla bean powder stays speckled and doesn't dissolve. The soaps look gorgeous - great job! Hmmmm....maybe I should use the vanilla bean powder I've had in my cupboard for ages! ....wouldn't it be great if the scent survived saponification? The powder smells so delicious.